If you don't follow me on Twitter, Instagram or Snapchat then IT'S MY BIRTHDAY! But not only have I turned 20 today, but this little blog right here has turned 1! Eeek, how exciting; two birthday's rolled into one. I'm not entirely sure why but birthday's are an anniversary which makes me feel very excited and happy for weeks, if not months beforehand. I'm already so excited for my boyfriend's birthday and it's a month away. Although I don't think I have anything planned for today, the fact I have turned 20 makes me feel all wonderful inside and I'm so glad I'm not a teenager anymore. For my birthday I received the most wonderful gift of all, two blimming camera lenses! I cannot believe how lucky I am but my boyfriend and my mum kindly bought me a lens each and I've had them a week already and I have already used them so much! I'm completely and utterly in love with them. I asked my boyfriend if he could buy me the 18-200mm lens and I'm so glad he did; I'm obsessed with it, it's completely changed my photography experience. I then couldn't decide whether I wanted a polaroid camera or a 50mm lens so I decided to ask my mum for the 50mm lens and wow, it's just as incredible. Why have I stuck with a 18-55mm lens for so long?! It's nice to do something on your birthday but because my boyfriend is working today I decided I wanted to do something yesterday instead so we went to Whipsnade Zoo and I've decided this is something we now do annually. Two years ago we went to Colchester Zoo for my birthday and last year we went to London, so it was only right to go to another Zoo which we haven't been to before. Of course I also took my camera with me with my 18-200mm and the shots I got were incredible; some of them I never would have got with my 18-55mm lens. I can't believe how much a lens can make a difference. 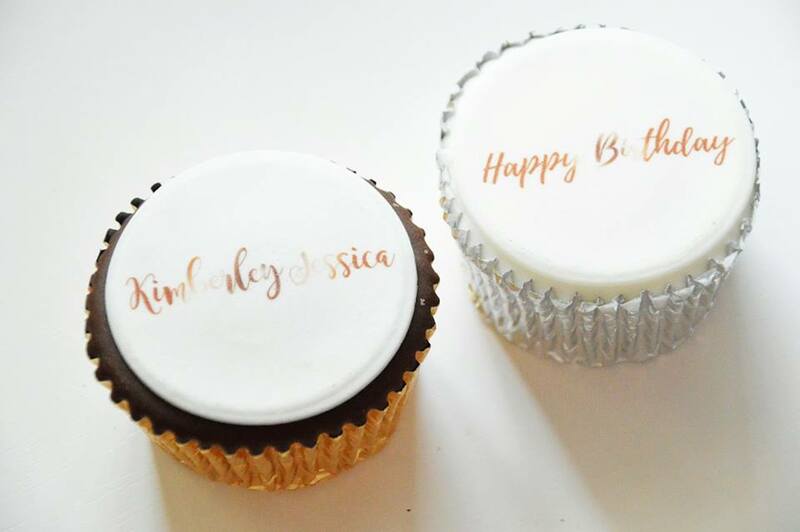 As a present for not only my 20th birthday but for my 1st Blogiversary too, Cake Toppers kindly sent me two cupcakes with my blog header on and a little happy birthday in my blog font too and I'm completely in love! They even match my business cards too. The great thing about this company is you put your order in and the cupcakes arrive within two days and they're not damaged either (you think they would be coming through Royal Mail). The cupcakes are also made with ingredients which are made to last for at least a week; so you don't have to worry about them being mouldy by the time they arrive! I'm spending this morning curled up in bed, munching on these yummy cupcakes with a massive cappuccino! This post features product(s) which were sent to me for review purposes. Aww what a gorgeous little way of celebrating your milestone. Happy blogging birthday lovely!